Last night a neighbor of mine went up to the vista above Lake Hollywood to look at the lunar eclipse. So did a number of people from outside the Canyon, some of whom were smoking despite the signs forbidding it. (The photo above is from 2011; since then, Councilman Tom LaBonge’s office has installed even larger signs, including one featuring Smokey the Bear, to little result.) Although all but one of the smokers put out their cigarettes after my neighbor asked them to, one pointedly refused. This year California’s long drought was declared the worst in its recorded history. With below average rainfall for eleven of the past fifteen years, including almost no rain last year and the year before, conditions are now so dry that any spark could threaten every home in Beachwood Canyon. That’s why we have No Smoking signs, and why we get so upset when smokers ignore them. 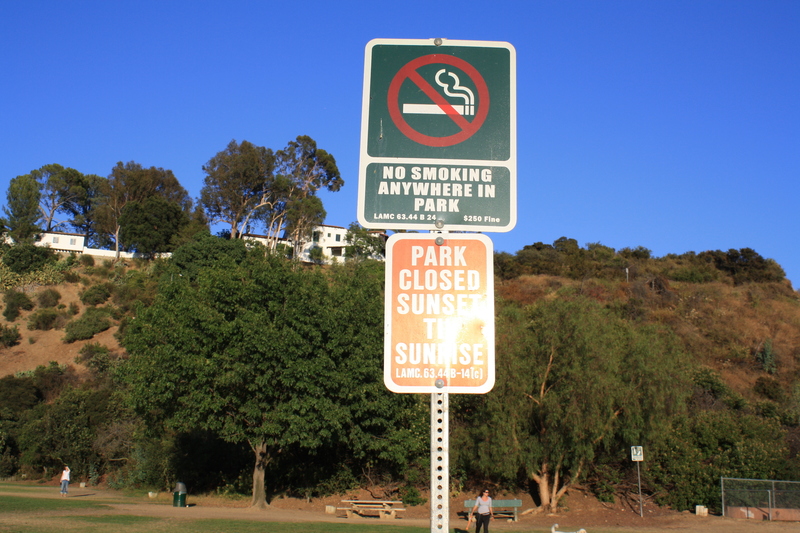 You are currently reading Why We Freak Out When You Smoke in Beachwood Canyon at Under the Hollywood Sign.